For the past few months, I’ve been exchanging emails with another S scale enthusiast who has been testing the new Sergent Engineering EC64K couplers on his layout – and we’re both coming to the decision that while these couplers are beautiful and have many terrific qualities, they’re not for us. It’s not an easy decision to take. 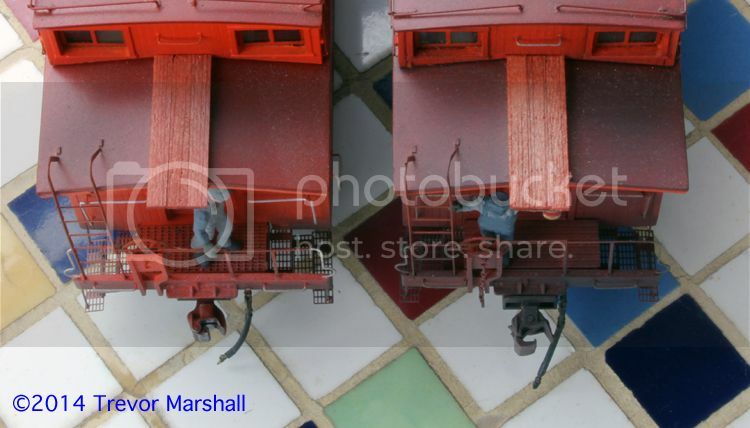 I really do want to use these couplers on my layout. As the photos above show, the Sergents look fantastic. Also in their favour, I love the use of a magnetic wand to uncouple: It works even better than the many different uncoupling tools I’ve used to manipulate Kadee couplers. But unless the Sergent couplers are perfectly aligned for coupling – and I do mean, perfectly – any attempt to couple results in knocking the knuckles closed without making the hitch. This then requires backing away from the failed hitch, re-opening the moving faces, re-aligning the couplers, and trying again. In my experience, the closer to looking straight down one can get when aligning the couplers, the better the Sergent couplers work. In Port Rowan the combination of a deep scene and a 21-inch viewing window (created by the height of the layout and a bulkhead that runs above the yard) prevents operators from achieving a decent overhead view of the couplers. In short, my visiting operators and I are having too many failed couplings. Now, I’m told by those in the business that failed couplings happen – but not as often as they’re failing on my railway. Besides, when couplers don’t couple in the real world, professional train crews just have to deal with it. That’s part of their job – and why such activities are called “Jobs” and not “Smiley Happy Fun Time”. 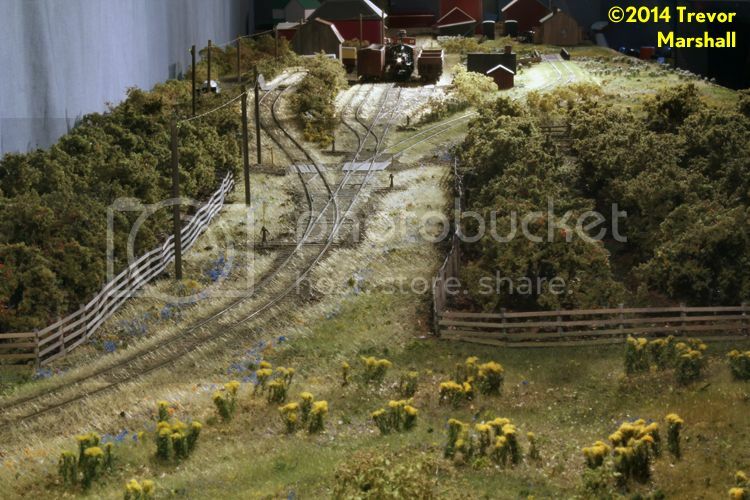 However, a model railway is not real life. It’s not supposed to be a “Job”. I enjoy building accurate models and scenes in 1:64, but I started into S scale because I was frustrated with the running qualities of On2. S scale has solved those problems, brilliantly. My locomotives do not stall and my equipment rarely derails – in fact, “zero-derailment sessions” are the rule, not the exception. In that environment, failed couplings really stand out as something that detracts from the overall experience. When couplers fail to couple on Port Rowan, they frustrate me. Worse, they become the thing that visitors remember. The rest of the operating experience may have unfolded as slick as spit, but the talk afterwards will be about how many attempts were required to make the hitch. I haven’t made a final decision: The EC64 couplers are currently out of production to address a manufacturing issue, which may also improve their performance. I will order some of the couplers when they’re re-released and give them a try. I will also hold onto my EC64 stock for the time being: If I ever build a classic shelf layout, the issue of sight lines would disappear – and the Sergent couplers would be more reliable as a result. I realize that I have experienced exactly the same issue (coupling failures) – with exactly the same results (more frustration and fewer operating sessions). That’s not why I’m in the hobby. So – unfortunately – unless the reworked couplers solve the problem for me, I’m going to have to pull the EC64 couplers from my equipment and return to the less prototypical but more reliable Kadee 808. I appreciate the decision you came to. On the prototype, most of the failed couplings occur when the joint was too soft. This causes pins not to drop. A quick attempted fix is to slam the operating lever a couple of times trying to coax the pin down. Failing that, a sole of the foot kick usually fixes it. There are however some that just refuse to drop, so a stretch and a ‘welders joint’ (hard coupling) are in order. On the prototype equipment you’re modeling, it’s highly unlikely that any drawbars would need to be adjusted before the joint is made. Barring the joint being on a nasty curve, the short drawbars should line up nearly flawlessly every time. Also keep in mind that as the couplers come together, they will adjust themselves to make the joint. In today’s railroading, most of the adjustments we have to make are on cars with longer cushioned drawbars such as centerbeam and bulkhead flats, and auroracks. Every railroad has a proper way to adjust them from using your back with proper body positioning, to metal tools called ‘knuckle buddies’. These fit over the face in the knuckle, having a finger that fits into the casting hole of the knuckle. They have a 3′ pipe handle on them which enables using less strength and more torque to properly position the drawbars for the joint. If Kadee offers a ‘scale’ head knuckle, I’d look into those for a test to see if they’d meet both the visual appeal as well as operational requirements. Now back to the layout room for that extra that was just ordered! I’d guess that the prototype has the advantage of a fair bit of weight behind it, too. When coupling onto a single car, even at proper speeds, the prototype car gets quite the jolt – whereas a model car could simply roll away. As for looking at other brands/styles of couplers, I’m happy with the S scale Kadee couplers. I have them… they fit the coupler boxes that are already installed on the equipment (same boxes the Sergent EC64s use, btw)… and they work. On my ho scale Sergents I’ve found that when the pin doesn’t drop you can usually give the top of the coupler a little rap with the uncoupling tool & that seems to set it , then the couplers work ok . As for coupling I do what I do on the real rr & when I throw a switch I also open the knuckle then get the coupler centered , this will usually work on the Sergents. Everybody’s milage will vary on this one, I’m sure. I’m glad they’re working for you. For me, I’m not having the success rate in lining them up that I’d like. So I expect I’ll be going back to Kadee 808s as soon as I clear enough projects off my work table to convert back the cars that have Sergents on them. Thanks for sharing your thoughts, Trevor. I tried the Sergent couplers in HO, and I came to a similar conclusion. I REALLY wanted to like them (I still do), but they’re just not up to the demands and compromises of a model railroad. It is reassuring to hear that I’m not the only one who’s tried Sergents and gone back to Kadees or their clones. 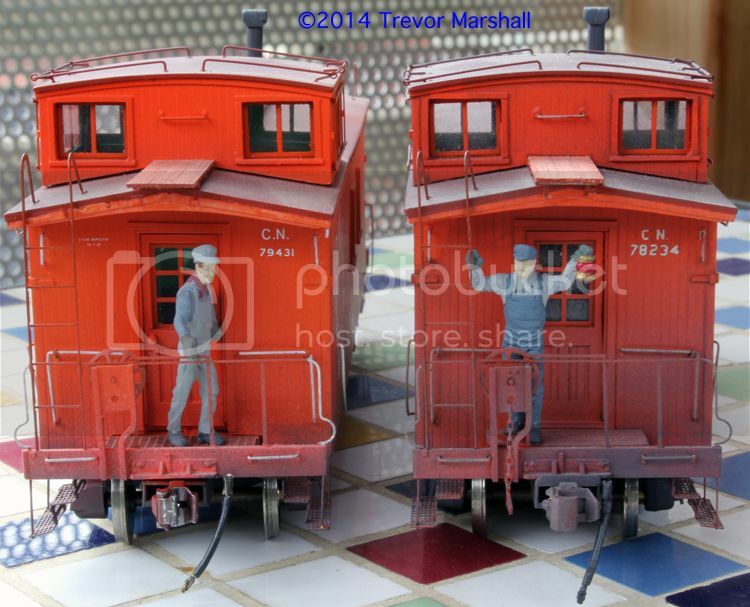 As I noted, with a different layout design – specifically, no deep scene like Port Rowan – I might have better luck with these. Not having the bulkhead up the middle of the room might make a difference too, because I would be able to get my head in over the couplers to check alignment better than I can now. As it is, though, I know the Kadees work on my layout, and I’m not getting the reliability out of the Sergents – so I’ll most likely switch back. How close would an O scale Kadee coupler scale in S? That might give you a smaller coupler head, but still have the reliability of Kadee centering. The other question is do your heavier cars couple better or worse with the Sergent couplers? Having adjusted quite a few knuckles in real life, I will agree that adjusting them is no fun. 90′ autoracks always seemed to be the worse! I assume you mean “HO”? A Kadee #5 would scale fine – but the draft gear box is different. I’d have to change out all of the boxes, including redrilling mounting holes. I am happy with the S scale 808s for now. Yep you’re right, my mistake. I was thinking of 1:29 scaled down to 1:48, not 1:64… I have a similar problem in large scale compounded even more with the various scales in that gauge. Would there be a way to add a centering spring to the Sergent Engineering couplers to alleviate the problem? Centering springs won’t really help. Unless the couplers are alighed precisely – and there’s no guarantee the knuckles will be, even with a centering spring – the knuckles will close and lock. Slight misaligents with Kadee couplers work because the coupler heads don’t have to be opened in order to couple – they open during the coupling process. Having made the decision to return to Kadees, I’m actually pretty comfortable with it. I should add that I may revisit this in the future. The tried and true Kadee #5 is very close in size to the Sergent S scale coupler – closer than the larger Kadee 808. And the head on the Kadee #5 is also available on a number of other shanks – long, short, offset high, offset low, etc. – which would give me a lot of flexibility to mount couplers on equipment. They would require swapping out coupler boxes – but boxes can be purchased separately from Kadee for minimal cost. However, my short-term goal will be to revert to the Kadee 808 (S scale) coupler, because I have them in stock – and they’re still on 80 percent of my equipment because that’s what I was using before I started testing the Sergents. I can then look at other options at my leisure. a brave posting and a good decision to (temporarily) move away from the Sergents. However, I would suggest that you take a little bit of time and re-consider using the HO Kadee’s to replace the Sergents – that way you will have the trial underway without extra work. If you decide to go with the #5’s on your equipment, let me know before you buy any draft boxes. I’ve got tons of them sitting around, and they’re yours for the taking if you decide to make the change. The age old conundrum of reliability over aesthetics, you gave it a go, you may go there again, but for your sanity and enjoyment, as stated before, it’s a hobby, not a job. I tried the Sergents and had a similar experience. Operating Sergent couplers requires good eyesight and a good view of the couplers. I had trouble making hooks, because I couldn’t reliably see if the couplers were aligned. I imagine this will be a problem with most eye level layouts. But they do look awesome. Perhaps better suited to a helicopter view layout. Agreed. I think they might also work nicely on what I call the “British-style” exhibition layout – a self-contained switching layiut at a show, perhaps at a lower viewing height so younger members of the crowd can enjoy it. Some of the problems ive experienced may also be due to either my assembly or finishing techniques. I will experiment witj sone of the couplers from the manufacturer’s next batch and see if I get better results. I should stress that these are only my experiences – on my layout. Others may have better experienced and I didn’t post this to discourage others from trying the Sergent couplers or other alternatives to the Kadee. In fact, I actively encourage everyone to do their own experiments and reach their own conclusions. Without experimentation, one cannot improve skills or knowledge in this hobby. An update: This morning, I compared the coupler boxes for an HO Kadee #5 (Kadee #232) to the couplers boxes for an S scale Kadee #808. The boxes have differences which prevent 808s from being put into a Kadee 5 box, and vice versa. However, in two key factors they appear to be identical. – The distance from front face of the box to the post appears to be the same. – The spacing of the mounting holes appears to be the same. I will have to confirm this by mounting a #232 box to an S scale car. But in theory, I should be able to use Kadee #232 boxes (and the couplers in the 5, 20 and 40 ranges) on S scale equipment. I will take some photos of a Kadee 5 coupler side-by-side with a Sergent EC64 (I have some of the original EC64s from years ago) and follow-up with a new post. How would strategically placed mirrors above the particular working areas go? They may give you the over head view you are looking for. Interesting idea but I think that would be impractical, given lighting baffles and so on. In addition, I’d like operators to have full flexibility in choosing where to make couplings. Mirrors and other tricks would make switching mote complex and spoil the illusion I’m trying to create. As a side note, the Kadee #5 will couple and uncouple with the 808, so you can trial them on just some cars, or use the #5 in more visible positions like caboose end or loco pilot and still operate. I can’t say if they will be as reliable as all one type as I haven’t operated as much with the mixed couplers. This has pretty much been my experience operating with Sergent couplers. Trevor: I also have had some difficulty aligning the couplers. I plan to convert a dental mirror into a combination mirror / uncoupling wand. Hopefully the angled mirror will help with alignment. On my layout I have the benefit of the track only about a foot from the front edge.